Medical Bankruptcy: Emergency Surgery for your Medical Debt. Statistically speaking, 42% of the bankruptcies filed a caused by an abundance of medical debt. This is a commentary on the poor health insurance system the U.S. has. But let’s face it, even if you do have health insurance, a bad insurance policy or even a PPO can leave you holding up to 20% of the bill. Let’s not even talk about the annual deductible you have to meet. With a minor surgery costing at a minimum of $8,000 to $10,000, you walk away holding a $2,000 bill for something that more than likely was just out of your control. So when you consider that about 50 million Americans live without health insurance and a large additional number only have access to bad policies with high deductibles and co-pays you begin to understand why 42% of the bankruptcies are related to medical debt. In Hampton Roads, some of the large medical services providers are Sentara (Virginia Beach, Hampton), Chesapeake General Hospital, Riverside Regional Medical Center (Newport News), Children’s Hospital of the King’s Daughter (Norfolk), Sentara Obici (SuffolK), Bon Secour (Portsmouth, Virginia Beach) and a score of smaller facilities throughout the Tidewater area. So how do you protect yourself from vulnerability to owing a large medical debt? First, don’t get sick. End of blog. I know that is not helpful so let me put it differently. Take care of yourself. Do all the things your mother said. Eat right. Exercise. Don’t smoke. Stay positive (I threw the last one in.). Seems simple but it will improve your odds of avoiding the doctor. Second, having insurance if possible is a start. If you can’t afford a blanket policy through your employer, look for a major medical coverage only which will help with the big bills. Third, don’t sign any guarantees for parents, relatives or friends when they are admitted to the hospital. The hospital has to take emergency cases even if they don’t have insurance. Your signature is not necessary to admit them. Be careful what you sign in a hospital. Fourth, if you have chronic illness and no insurance look into federal and state programs for coverage. You may qualify and therefore have some limited protection. But if you can’t avoid a large medical liability, what options do you have before you consider medical bankruptcy? First, if you financial situation is very bad, most hospitals have the ability to reduce or even eliminate the charges for truly indigent cases. Second, hospitals are generally very flexible with payment plans. The bad news is while hospitals are generally slower to sue you smaller medical offices are not as compassionate or slow at collecting. If you decide filing a medical bankruptcy is unavoidable after consulting a compassionate, highly experienced attorney with many years of medical bankruptcy experience and preferably one that enjoys antique Volkswagen vans like… me, here are a few pointers. Medical bankruptcy is like a bomb. It will nuke your medical debt so you want to make sure you nuke as much as possible. If you are in a situation with ongoing medical issues and therefore accruing more medical bills, don’t jump to file. You’ll want to consider what is coming down the pike at you in terms of additional medical costs. Try to get some insurance in place by the time you are ready to file so you do not immediately end up in the grip of overwhelming medical bills again. Sometimes it is possible. Sometimes it is not. But no matter what you do, if you decide to file medical bankruptcy please, please, please find an expert medical bankruptcy attorney and ask him the most important question on which you will ultimately base your decision which is “Do you drive a blue and white VW van that smokes like a chimney and you have to push half the time?” It is the only important question in my opinion. Stay healthy. Really. 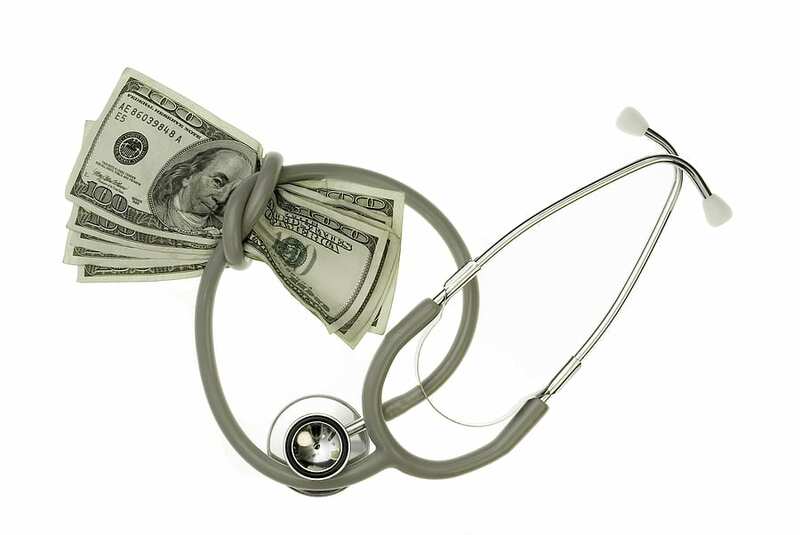 CLICK: FIND OUT HOW TO WIPE OUT MEDICAL DEBT TODAY! FREE CONSULTATION.